This one is not for you gentle flowers, this is a man’s shirt. It’sa 12 ounce washed gravel canvas with cowhide collar, epaulets, cowhide collar and large bellow patch pockets with buttoned down flaps. I’ve been wearing this shirt for years as an over-shirt and it very nicely substitutes for a spring or fall jacket. We have plenty of the mustard color available to ship in all sizes. Kakadu shirts are built to last. Get yours today. 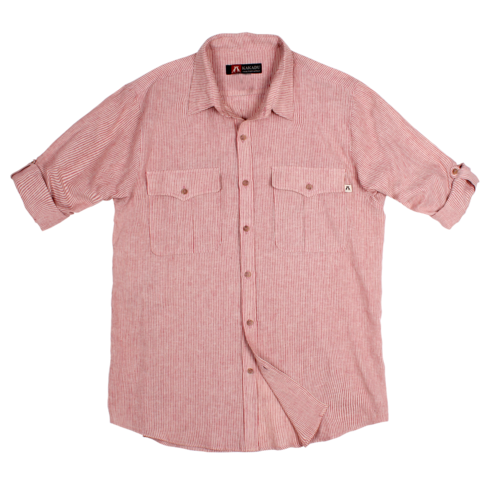 New from the folks at Kakadu Traders Australia is the Monash Men’s shirt. It is a full fitting shirt with a button down front and double button down chest pockets made with a mattress ticking fabric. Very nice indeed! Named for the area in South Australia allocated for those repatriated soldiers returning from World war I, this Aussie styled shirt is sure to please. Remember to check out all of the fine Kakadu clothingitems from Kakadu Traders including the Kelly concealment vest and Kakadu backpack bag. Those with a love of the rugged outdoors and interests in farming or history will enjoy the Living History Farms. Located in Urbandale, on the northwest side of Des Moines, this 500 acre open-air-museum educates the public about how generations of Iowans have transformed the prairie into extremely productive farmland. Guides at the site teach how different farms have operated throughout several eras of U.S. agriculture and provide a variety of hands on activities and demonstrations for visitors. The farms are open from late April through mid October. Put on your favorite outdoor clothing and enjoy the fresh air. You are going to love the Kakadu Traders products. Many of the items that have een out of stock are now available. Wear the shirts as an over shirt or while you work or play outside. 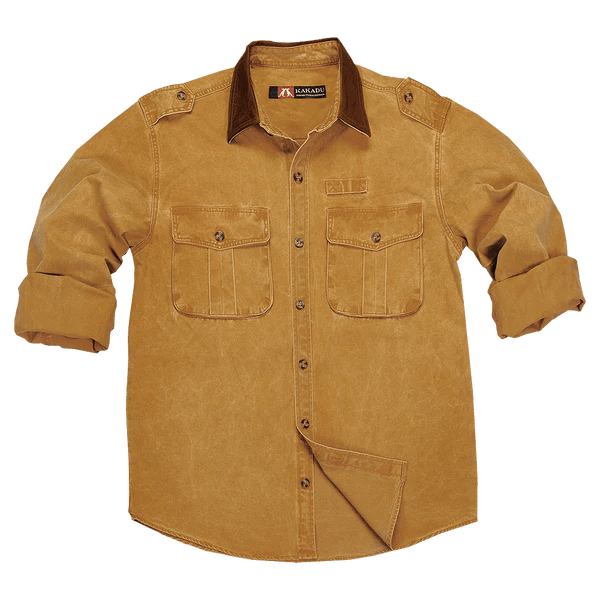 Wear the oilskin jackets while you ride your motorcycle or horse. Kakadu clothing come with a 5 year limited warranty on manufacturer defects. There is no need to shop around. We have the best prices on Kakadu shirts, jackets and bags! Roston! Get your Roston here! Just like the Kakadu Jack vest, the Kakadu Roston vest is a nice choice in outdoor clothing when you want to go sleeveless. The main difference between the Kakadu Jack vest and the Kakadu Roston vest is that the Roston has a stylish flannel hood sewn on. 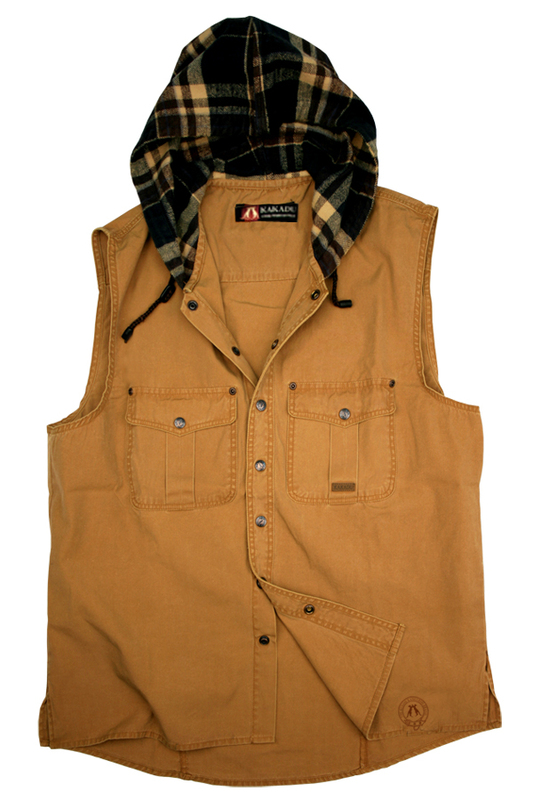 Made with the lightweight 8 ounce Gunn-Worn canvas, the Kakadu Roston vest is a great choice in men’s vest. When you want a long sleeve shirt, no problem. Kakadu Traders has a complete lineup of quality canvas shirts including the Toorak and Southern Cross. But what if you want to go sleeveless? Again, no problem. Kakadu Traders has the men’s vests that you need. One option I like is called the Kakadu Jack vest. Made with the lightweight 8 oz Gunn-Worn canvas, the Kakadu jack vest is comfortable when you don’t want sleeves. Have you been to Liberty Lakes? Can you just imagine a resort in east Texas with five lakes, four swimming pools on over 2000 acres. The people at Liberty Lakes, Cleveland TX focus on equestrian, fishing, recreational resort and a recreational lifestyle. Donn your favorite outdoor clothing while you enjoy exercise trails, hiking, biking, picnicking, volleyball or just playing on the beach. The nice folks at Liberty Lakes are sure you will have an enjoyable stay. If you’re like me then you probably spend a lot of time outdoors. Here in Maine we have all sorts of things to consider like black flies, mosquitos and poison ivy just to name a few. I know I’ll be spending a lot of time in the woods also so the wood ticks are going to be an issue. You’ll want to make sure you have the right kind of outdoor clothing on to protect yourself. Obviously if you get caught out in the rain you will need to wear some sort of waterproof shell, but mostly just keep yourself covered up to make sure you can stay warm and comfortable.